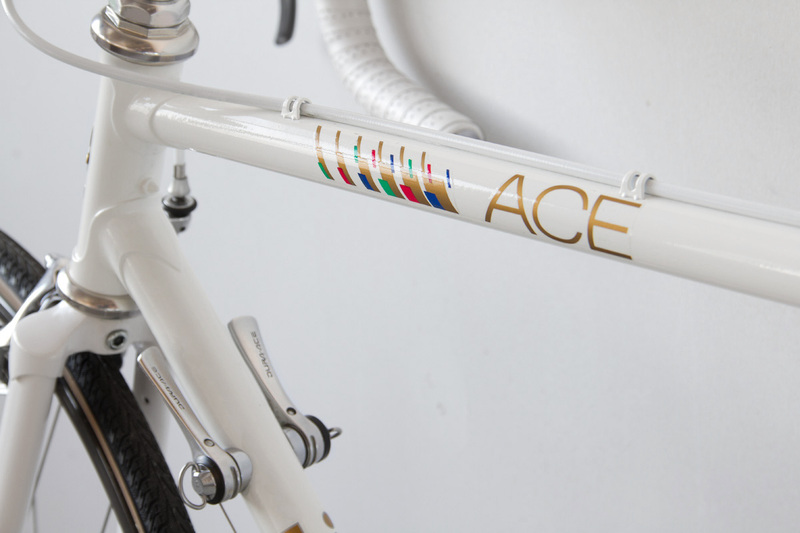 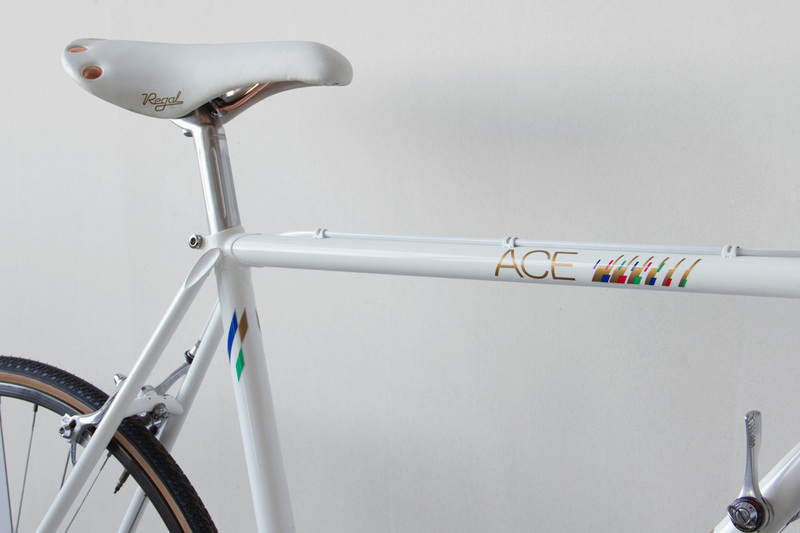 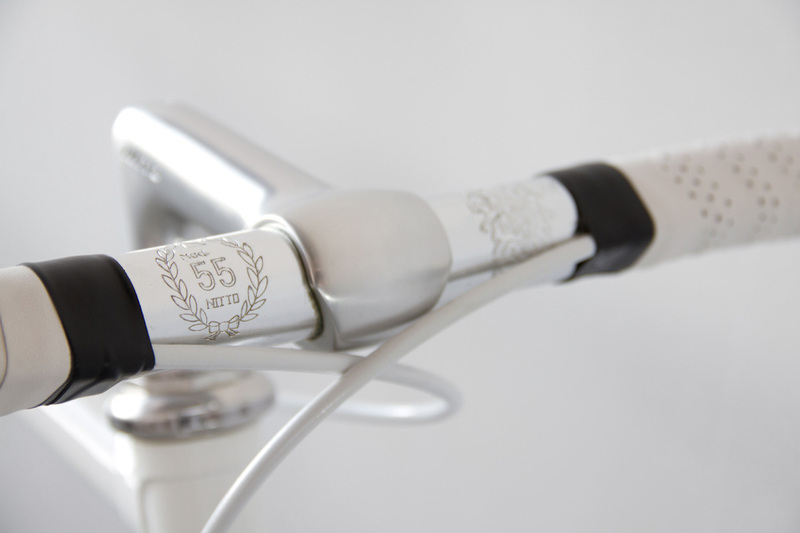 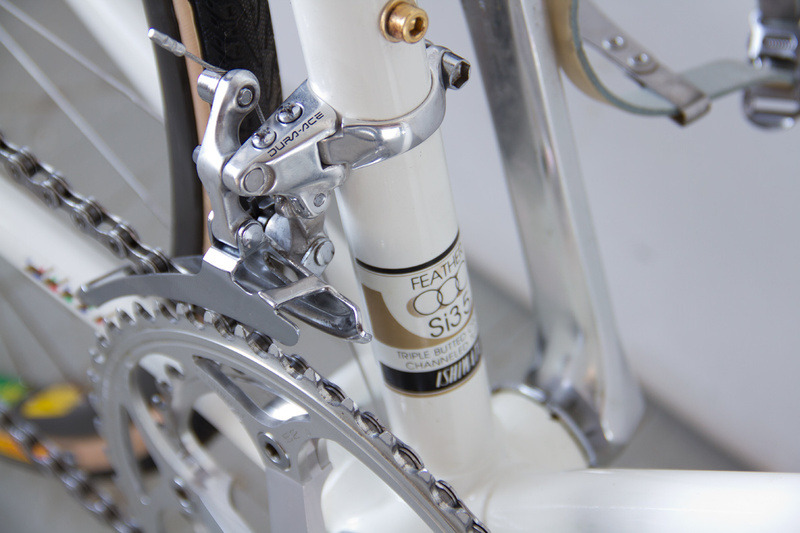 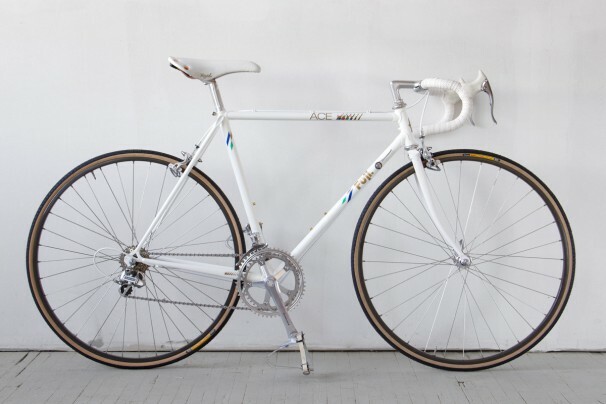 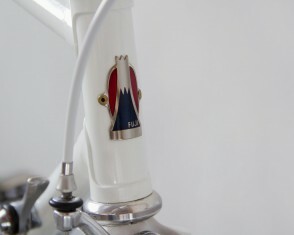 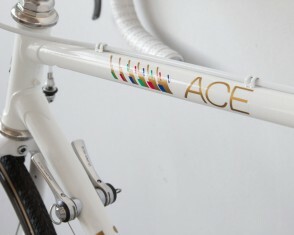 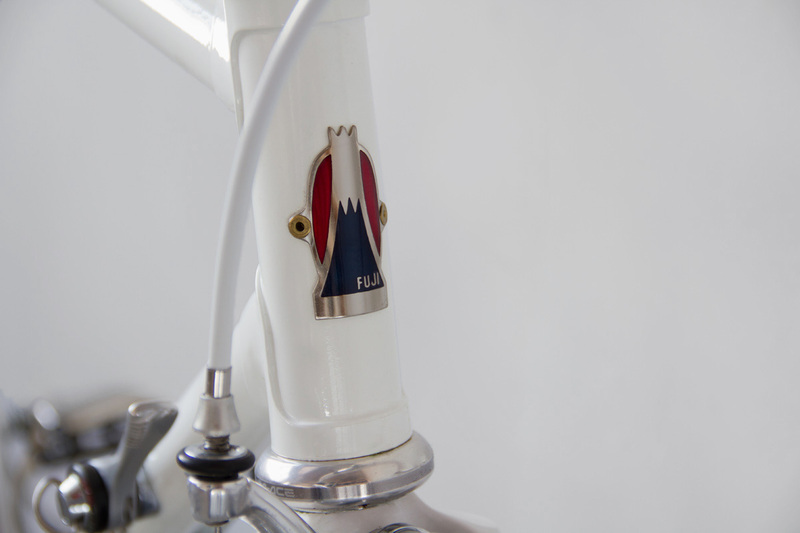 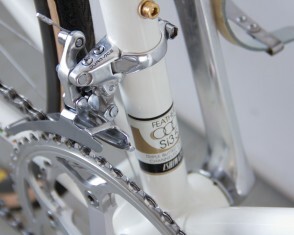 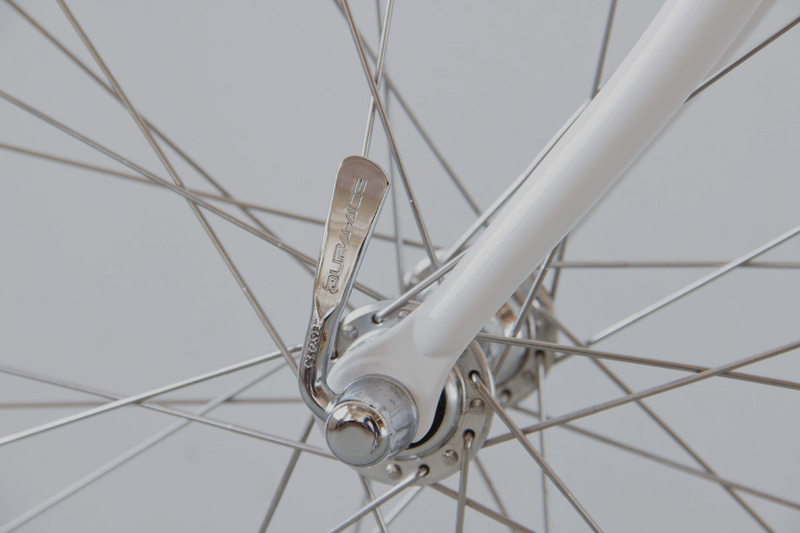 There is love for the production bicycle at Hero Headquarters…especially when we find a New Old Stock Alpine White Fuji “Ace” frameset at a flea market and see the rare oppurtunity for a pristine vintage build promted by a little bit of wordplay. 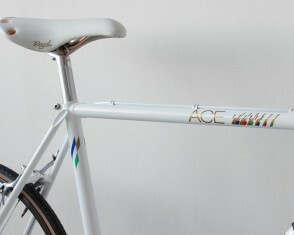 Not quite hand-crafted of venerable Ishiwata Si35 Feather Cromoly, The Ace sat wrapped in cardboard for over twenty years, patiently waiting for something more than its original Suntour Blaze parts. 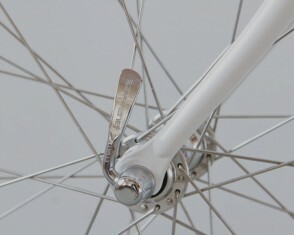 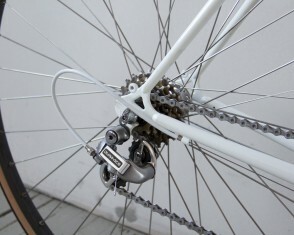 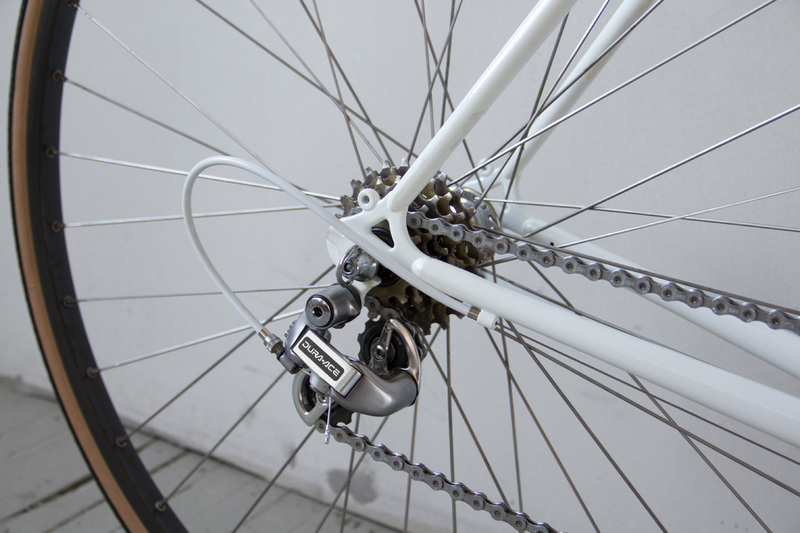 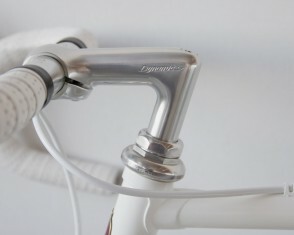 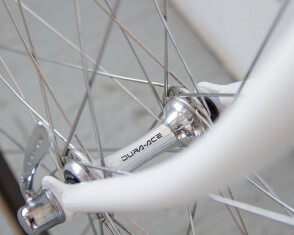 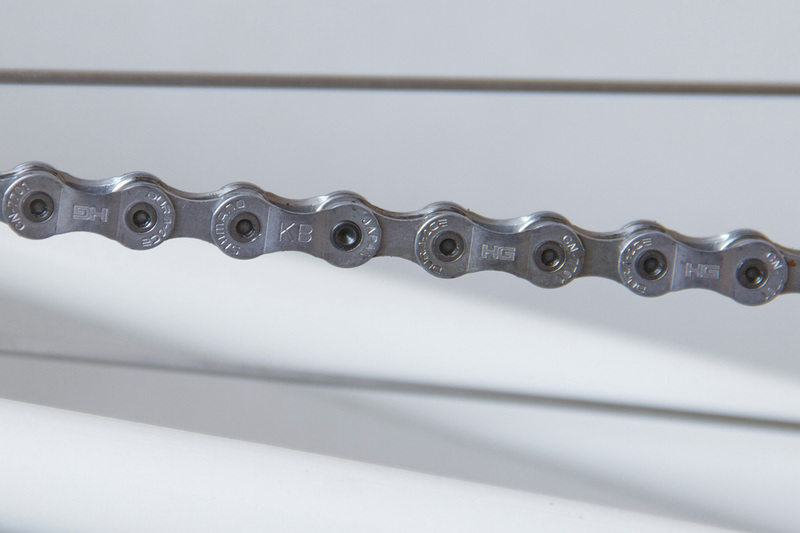 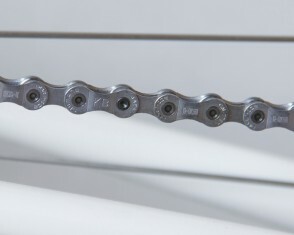 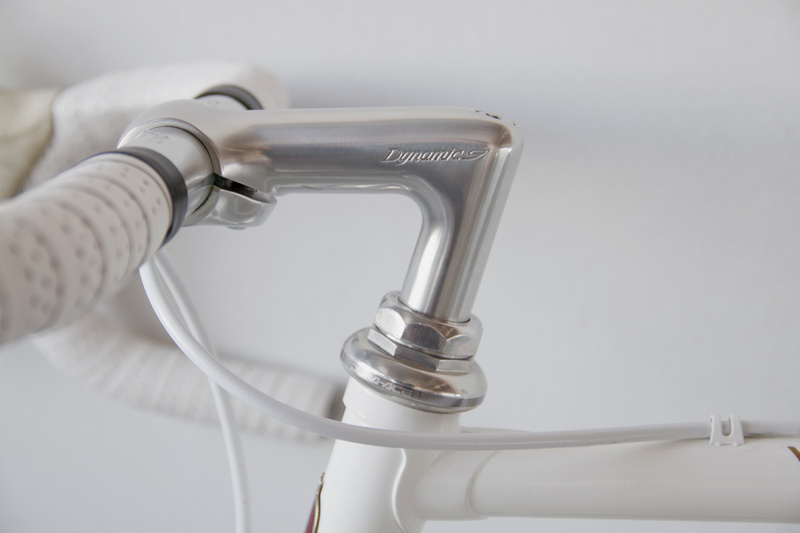 Its fresh components now read Regal, Nitto, Dura-Ace, Dura-Ace, Dura-Ace, Dura-Ace, Dura-Ace, and more Dura-Ace. 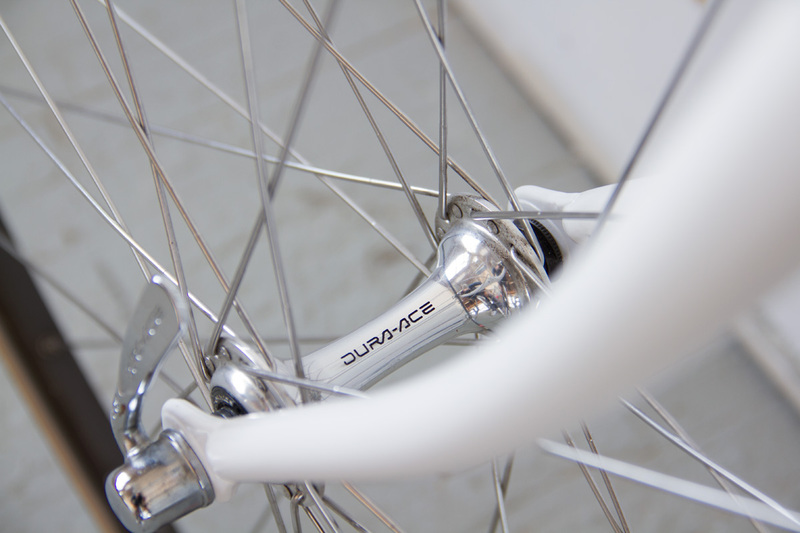 Special thanks to Bryan for waiting so long for his bicycle. 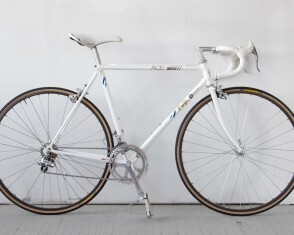 You will not be disappointed my friend: it shifts better than my racing bike! 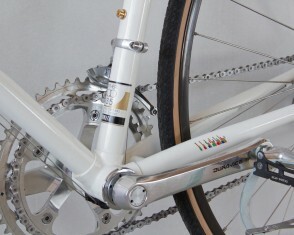 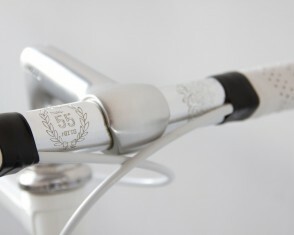 Tags: Hero Build, japan, Shimano. 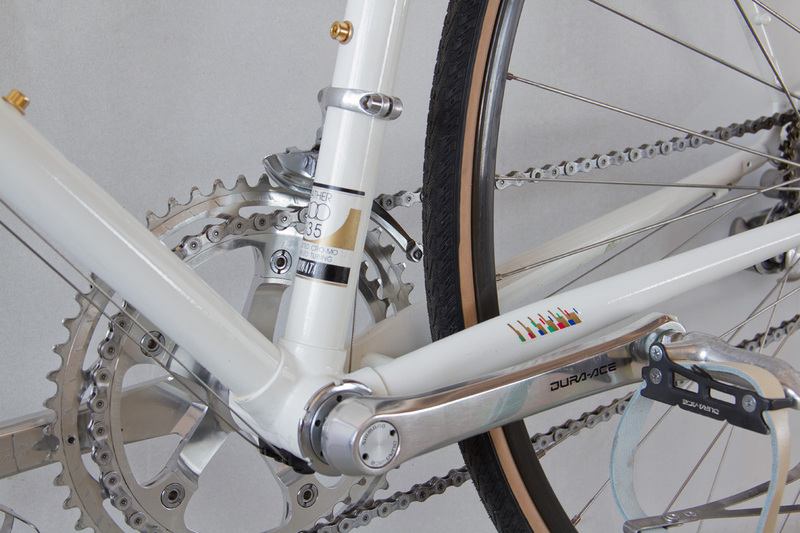 ← Punk or New Wave?